A GROUP OF four men say they’re suing American Airlines after they were allegedly thrown off a flight for looking “too Muslim”. The men spoke to the New York Daily News about the December incident in which four of a group of six were asked to leave the plane because they made the crew “uncomfortable”. The men were returning to New York from Toronto with two of the men paying to switch the flights they’d booked so they could be on the same flight as their friends. They also paid for an upgrade. It appears that these changes may have made flight attendants uneasy and they asked the men to leave the plane. “I thought it was an evacuation or something, so I didn’t think nothing of it, but then she told me to take my bags and when I went back into the plane I saw I was the only one standing,” according to W.H, a fashion designer who spoke to the paper and named in the lawsuit. When they left the plane an agent tried to explain to them why they’d been asked to leave. She said the stewardess and the captain felt uneasy with us being on the flight. That there were inconsistencies of our behaviour travelling as a group because two of us upgraded and two of us didn’t. 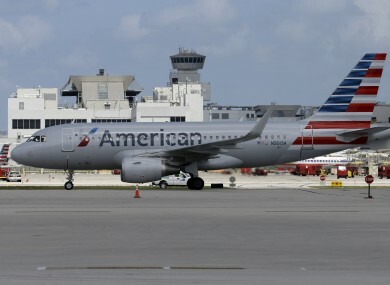 The men’s lawsuit totals $9 million in both compensatory and punitive damages, but American Airlines told the New York Daily News that they are yet to receive a lawsuit. “They didn’t cite any basis of inappropriate or boisterous behaviour, there situation wasn’t a security issue or threat,” according to the men’s lawyer Tahanie Aboushi. Email “Four men allegedly kicked off a flight for looking 'too Muslim'”. Feedback on “Four men allegedly kicked off a flight for looking 'too Muslim'”.